I have not always used gloves when handling my records. But eventually I found myself wanting to guard against unwanted fingerprints on the leading edge of my LP’s. Even if I washed my hands before handling them there always seemd to be a little oil that transfered. Fingerprints are very hard to remove from records. I had trouble getting rid of mine until I starting using a Record Cleaning Machine. I have some that have been cleaned a few times now on my machine and they do look a lot better. There are a couple great options to help avoid fingerprints and they are they are definitely worth looking into. The first gloves I tried were 100% Cotton Gloves. Buying a pack of these is great because they do tend to get dirty on the fingertips. After about a month of moderate use I would just throw them out and start with a fresh pair. I did notice that these never seem to be lint free even if stated in the product description. 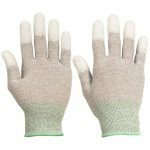 If you dont mind a little lint that can be picked up with a carbon fiber brush, and dont want to have to wash gloves then these will do. 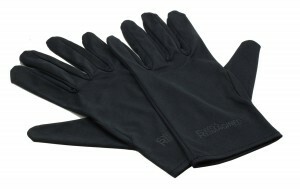 The second pair I tried and am currently using are Swiss Reimagined Microfiber Gloves. These are perfect for my purposes. They are thicker than the cotton gloves but still allow for easy record handling. The microfiber feels softer than the cotton gloves, and best of all they can be washed when they get dirty. I keep one by my turntable to put on my hand while taking records out of their sleeves. I also keep one next to my Record Cleaning Machine to use for handling records while vacuuming them. 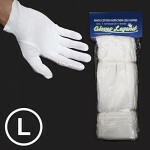 That way I am only using the same glove for clean LP’s ready to go onto the turntable and one for cleaning purposes. Hopefully this will give you a couple great options for record handling gloves. I personally really like the added security of a layer of fabric between my oily skin. 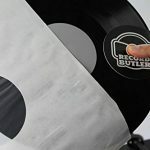 This is just another small thing I have found that makes a big difference in keeping your vinyl in great shape. Here are some other great options I have tried in the past 2 years since I posted this article.